It's been updated and has more content than our previous brochure. 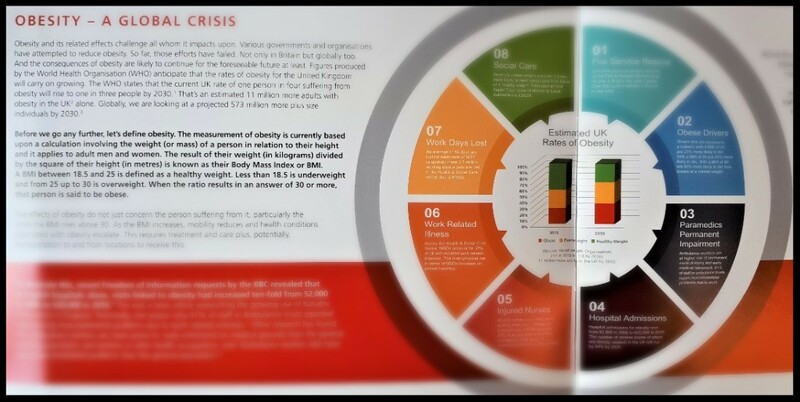 There's some facts and stats included in it about the way that the obesity rates of the population affect various organisations who assist plus-size people. We've also put details in of our partners who offer bariatric casualty and bariatric patient moving and handling training as well as our finance partner. There's a couple of ways to obtain our new brochure. 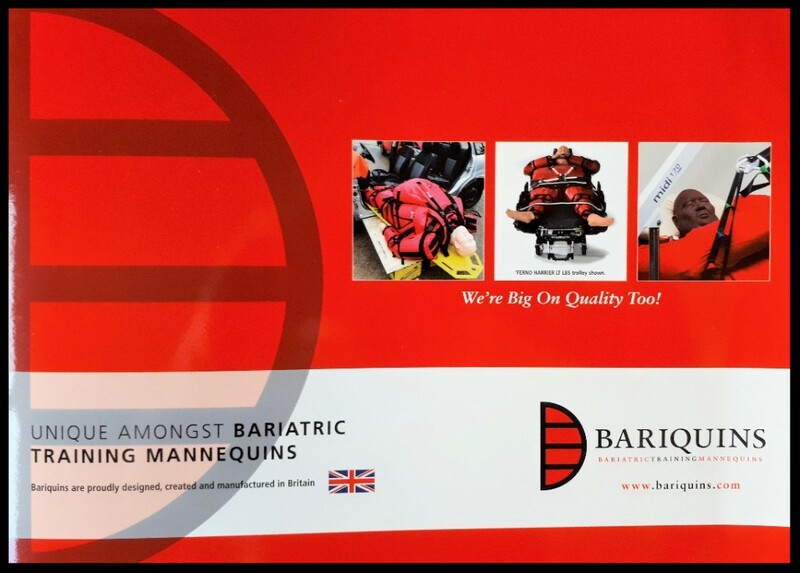 You can email us at enquiries@bariquins.com Please state if you wish to have one emailed to you or would like a hard copy sent to you. If you want the latter, be sure to include your full postal address. Or you can complete the contact submission form at the bottom of our homepage on our website at www.bariquins.com Again, please state your full postal address if you would like a hard copy sent to you. 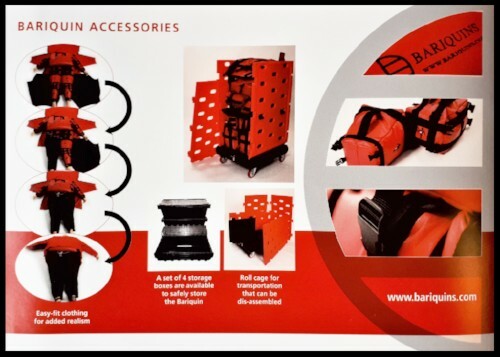 Once again, Bariquins are exhibiting at the Emergency Services Show. It's our third year there and we look forward to seeing you at the event. The show is being held on the 19th and 20th September, so put those dates in your diary now. This year, you'll find Barry and Benny at Stand H36. Come and meet them both. It's in Hall 5 of the National Exhibition Centre, Birmingham, UK. There's over 450 exhibitors, live demonstrations, unique learning opportunities and excellent networking prospects. Included in those 450 exhibitors are staff associations, charities and voluntary sector organisations, trade journals and of course, emergency service providers and private companies. It's a great place to see what kit is available for the emergency services sector; with plenty of equipment suppliers there, from boots to vehicles and of course, our bariatric training mannequins. Don't forget that entry to the show and parking are FREE. Here's a link to register attending. 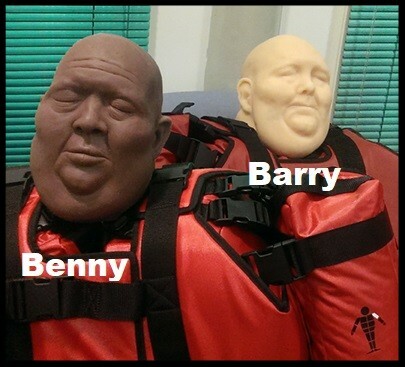 Now that we have partnered with Arkle Finance and training partners Technical Rescue Training UK Ltd and Disabled Living, the pace of development here at Bariquins has slowed down a little. And that which is happening, although it's exciting to us, you may not agree as much. That's why we're going to be limiting our newsletters to quarterly ones from now on. (We were unsure but the recent avalanche of GDPR emails convinced us that it's the right thing.) They'll be timed for sending early in each month of June, September, December and March. So, see you in September with a reminder for the Emergncy Services Show, if you haven't already booked by then.